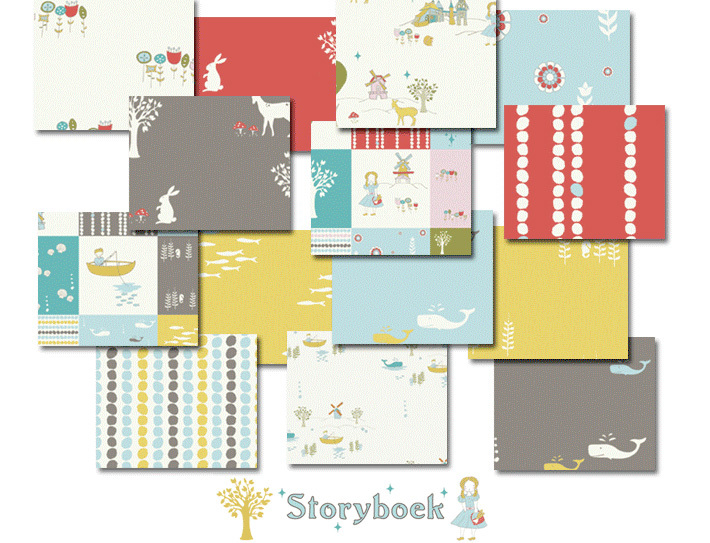 We are so excited to announce our next collection for Birch Fabrics, Storyboek by Jay-Cyn Designs! Printed with low impact dyes, this 100% GOTS certified cotton is the same premium quality that we've been so proud of! Here's the logo to get you as psyched about it as we are! Storyboek will be available at fabricworm.com and many other stores too! Oh common! Show us more! These fabrics are so lovely! Can't wait! I must have those little whales! on grey! Everything I love right now in one print! !